Boost morale during the long winter and encourage your team, as well as your customers, to jump into the new year with some perfect merchandise for 2019. To start the year off right, why not invest in some favorite promotional items for your business? Boost morale during the long winter and encourage your team, as well as your customers, to jump into the new year with some perfect merchandise for 2019. The right swag can even help carry people through the first couple of months of resolution-keeping. After all, the beginning of the year is the perfect time to encourage some mid-winter motivation. Here are some perfect promotional items to start the new year! These stainless steel portable mugs are perfect for boosting your motivation in the early mornings. Grab a tall, hot coffee for your chilly commute and get ready for your day on the go! Better yet, these insulated tumblers are super high-quality, so they help to prevent leaks and can stand up to falls. Plus, they’ll keep your morning coffee or tea hotter for longer than disposable coffee cups. Is one of your new year’s resolutions to be more eco-friendly? 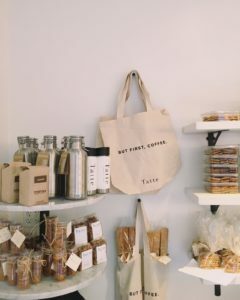 For many people, 2019 may be all about recycling, eating organically, and making the most of items like reusable tote bags for their shopping. You can help cut down on disposable plastic bag consumption while promoting your business with shopper tote bags and other eco-friendly items this winter! With shopper totes, your customers and employees will be carrying your logo all about town. For many, the new year is about getting back to the gym and rebooting those healthy habits. Why not have employees and customers carrying your logo around on their water bottles? In addition to being eco-friendly, aluminum sports bottles are trendy and great for staying hydrated on the go. Anyone can bring these bottles to the gym or work to stay hydrated and healthy. Finally, curl up and get warm this winter with a promotional roll-up blanket. The winters can be harsh, and a roll-up blanket can be the perfect promotional item to start the year with. These blankets are cozy and easy to store, so even when the weather warms up, you can keep one in your car for camping or drive-in movie nights. Your team will love them so much that you may even want to keep one for yourself! This entry was posted on Friday, January 18th, 2019 at 11:46 am. Both comments and pings are currently closed.